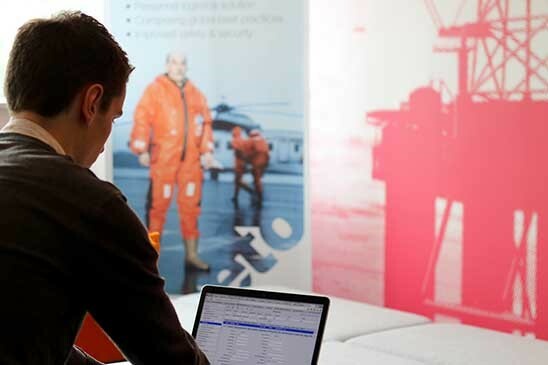 Tieto Oil Gas Operations Support Solutions is the globally leading provider of personnel logistics and POB (personnel on board) management solutions specifically designed to accommodate the diverse requirements of the oil and gas industry. Our solutions are used in more than 25 countries in literally all corners of the world, and have been selected as corporate tool by some of the world’s largest oil and gas companies. Together with our customers we have developed and established global best practices for oil and gas personnel logistics. We have a proven track record with respect to usability, reliability and performance. More than 25 million passenger bookings have been made using our solutions, thus manifesting both the magnitude and the resilience of our portfolio. By using the Tieto oil and gas solutions our clients are able to streamline operations, significantly reduce OPEX, as well as ensuring HSE compliance in the process. Changing the perspectives on the personnel logistics supply chain process – by moving from the myriad of individual Excel spreadsheets to utilizing the features and functionalities in our ‘one time data entry’ tools – our clients are able to stay one step ahead. They are able to reliably forecast transportation & accommodation capacity requirements, reuse entered data and distribute the workload by empowering contractors, end users and travellers alike. The PTS has been designed to meet the needs of the international operators, and has evolved into becoming an operations support solutions consisting of multiple modules. It is highly configurable, multimodal (air, sea, ground), and can be used for handling any type of personnel logistics, be it for a large camp in the midst of Sahara or an exploration rig in the China Sea. PTS is a ‘commercial off the shelf product’, provided either for in-house customer installation or on a SaaS (Software as a Service) basis available on the Internet.